THANK YOU to all our customers who have trusted us with their furniture purchases so far this Holiday Season! We would also like to express our appreciation for your generosity in support of donating an HDTV to a family in need, your personal commitment has been incredibly helpful in lifting their spirits this Season. 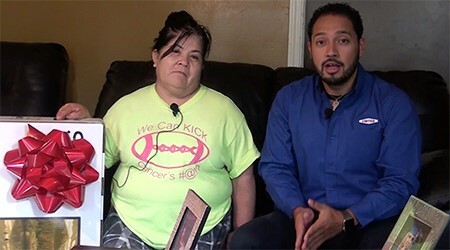 Both your purchase and donation mean so much to FAMSA Furniture, but even more to these victims who suffered material losses due to Hurricane Harvey that swept through Houston, Texas. Thank you from all of us at FAMSA Furniture. F. I. Garcia S. Wence J. Munoz R.
If you are a customer considering Famsa Furniture for your home needs. 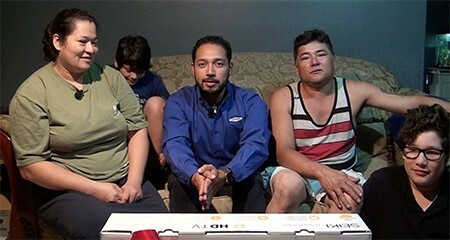 Click Here for more details on our current promotion, how you can receive a FREE LED TV from your furniture purchase with us, and at the same time help us donate a TV to a family in need. © 2019 FAMSA INC. V2.0.0 All Rights Reserved.